UK VAT DEADLINE FOR NON-EU COMPANIES COMING UP! As the end of the year looms, many of us are gearing up for the Holiday season – planning our shopping, decorations and scheduling family events – but it’s also a time of VAT deadlines. Non-EU business with executives who traveled to the UK between the 1st of July 2017 to 30th June, 2018, must submit their VAT invoices for expenses made by the end of December. The deadline includes business expenses in England, Wales, Scotland, and Northern Ireland. New data released by the Office for National Statistics (ONS) shows that although the UK experienced a record number of visitors in 2017, the number business trips actually decreased. Visits to the UK from overseas for business fell by 4 per cent from 9.2 million in 2016 to 8.8 million in 2017. 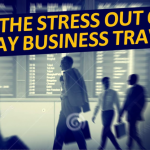 Having said that, business travelers still spent approximately 5.3 billion British pounds in the UK during visits in 2017. Many businesses still don’t bother to reclaim VAT from overseas travel, due to the hassle and investment of time. However, VAT reclaim can be a veritable goldmine of cash, which can them be used to lower travel expenses, and allow more flexibility on expenses on trips that must be made. WHO CAN APPLY FOR VAT RETURNS IN THE UK? 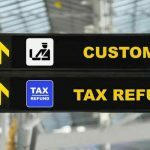 Visiting business travelers who are non-EU resident may apply for VAT returns in the UK. WHICH KINDS OF VAT PAYMENTS ARE ELIGIBLE FOR RECOVERY? VAT paid can usually be reclaimed on goods and services purchased for business use, but if a purchase is also for private or person use, a portion may be reclaimed for business. Recoverable VAT expenses include: Laundry, Rentals Car, Internet, Telephone, Restaurants, Accommodation and Hotels, Fuel, Groceries, DDP and Conferences. With December just around the corner, make sure your company gets all of the VAT returns it deserves for VAT paid. For the complete story on recovering VAT in the UK and other EU countries, download our eBooks. Follow us on LinkedIn for news and updates.